Mold is a fungus that causes organic matter to break down. It is caused by moisture and thrives on cellulose, which is inside of the dry wall which is used to build homes and commercial buildings. Also it can start developing within as little as 48 to 72 hours following your property that is flooded. When dealing with mold, the air quality is of the utmost concern. Mold presents many health risks including allergic reactions, fungal infections and poisoning by mycotoxins. Residents may need to go out the property because the air may be a health hazard. This makes it vital to remove the standing water as quickly as possible, while extraction will make the environment less favorable for the growth of mold, mildew along with other micro-organisms. Get A FREE Mold Estimate Today! At AllStates Restoration our mold removal field technicians are NORMI and IICRC-certified professionals. The IICRC (Institute of Inspection, Cleaning and Restoration Certification) certifies technicians and develops high-standards for inspection, cleaning and restoration, and has industry-wide participation in over 25 countries worldwide. Call us today for a free consultation and mold lab testing if you have a mold issue in your home or commercial building – or if you think you might have a problem. AllStates Restoration offers 24-7 Emergency mold remediation, consultation and Water Removal Service, every day of the year. Call now! 732-722-5211. To schedule your Free NJ Mold Removal Consultation, call 732-722-5211 or click here. One having sign is clear identification of mold or mildew. However, if the mold are unusual-looking you might not yet know exactly what you’re seeing. Mold could be white, black, gray-green or gray-brown. Various mold is white and thread-like. Mold developing behind wall-paper made from vinyl could actually appear pink, orange or purple. Additional mold and mildew seems like groups of small black spots. Whether or not mold continues to grow on your property or work place boils down to whether or not you will get a moisture or high-humidity problem. Moisture is likely the main reason for mold growth. 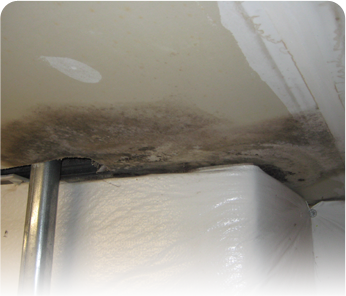 Here is a number of moisture-related issues that could cause black mold growth. AllStates Restoration combines state-of-the-art inspection equipment with many years of hands on experience to recognize the main cause of the mold and mildew, alongside possible problem areas inside and around your property. The initial walk-through of your building to identify any sources of mold is done by one of our experienced field technicians. Our field technicians visually inspects your property for molds or mildew. Utilizing state-of-the-art electronic detection tools like moisture meters, our technician’s in depth mold inspection explains both potential and pre-existing moisture issues in construction materials. 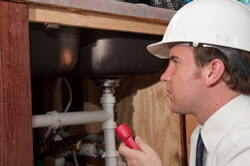 Any potential areas of concern discovered over the course of mold inspection are going to be photographed and documented, along with the existing problems. AllStates Restoration can safely clean, contain along with get rid of mold that’s in your home or business. First our technician cleans off the entire work area. A negative air machine (Air Scrubber) that filters the air is installed to ensure that now clean area would not be re-contaminated. At the same time a commercial grade dehumidifier is constantly removing moisture from the air to maintain the work area dry, preventing new mold growth. We clean the air and remove everything in the area touched by mold. Our cleaning and mold remediation process which involves using a Hepa filtration vacuum and damp wiping with special anti-microbial solutions. This allows the elimination of harmful mold spores and the return of your property as a healthy place to live, work and play. It’s always best to have the mold evaluated and re-mediated by a certified professional, like folks at AllStates Restoration. 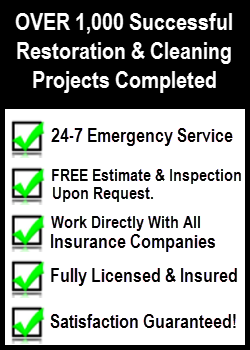 We guarantee every one of our restoration services. If one of our mold cleanup and removal services isn’t done correctly for whatever reason, we’ll return and repair it, Guaranteed. [wc_box color=”inverse” text_align=”left”] The repair and clean-up of your property may be expensive. Plus mold and mildew presents a unsafe health hazard to you personally, your family and your pets . 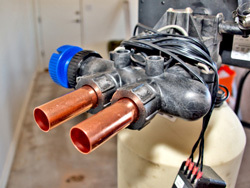 So it’s extremely important to when selecting a mold remediation company. Only select company who guarantees their work. Technicians should be certified and follow IICRC-520 standard and EPA mold remediation guideline. Quotes should be in writing and specifically itemize all work to be done. Don’t assume something that’s not included in the bid is included with the cost, even when it seems minor. Question any proposal which appears out-of-line. Make sure the bidder isn’t taking cutting corners to lower their estimate. Ask ahead what the company charges for modify orders. Don’t assume the company is going to do extra work for the cost of the work by itself. Take into account a number of respectable firms incorporate a service charge on top of the cost of the work. Take a look at bid along with your insurance provider to find out which expenses are going to be covered by your insurance and which are your responsibility. 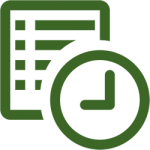 In case your mortgage lender is involved in the process, be certain the bid payment schedule as well as bid specifics meet the lender’s standards. Ask people you know for references, recommendations and personal references. Ask the company for references/recommendations of satisfied clients and call them before you sign a contract. Check their online reviews and testimonials. If the company isn’t willing to provide references/recommendations, they could be hiding something. Watch out for companies who required payment in full up front, or who say they’ll need final payment before the work is done. Be aware, however, that it’s common for companies to ask for partial payment as work progresses. In what ways are the vendors selected? Are there any benefits in selecting a suggested vendor? If you select a company from the insurer’s list, will the remediation work be guaranteed by the insurance company? Your insurer is prohibited from requiring you to use any specific mold remediation company, other than may make recommendations. Just like any contractor under consideration, you should check for proper licensing and insurance policy coverage, ask for a list of references, and review their work prior to making a decision. 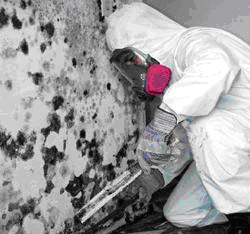 To schedule Mold Remediation appointment, call 732-722-5211 or click here.